Amazon over the years has quickly become the most popular place to shop online. Millions of dollars are spent every single day but do you know the secrets to saving the most money while shopping on Amazon? 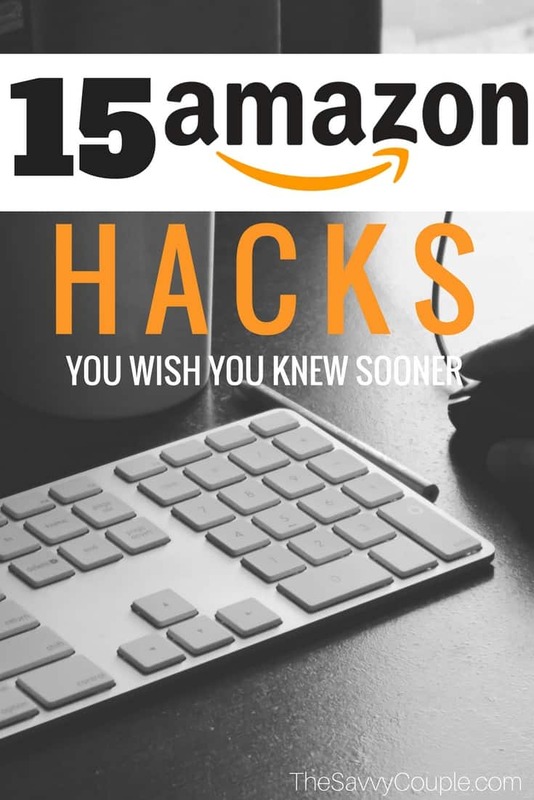 Below we will show you how with some incredible Amazon hacks! In the article, we are going to show you 15 genius ideas to save some money while shopping online at Amazon. If you are interested in starting an Amazon Prime membership click here. 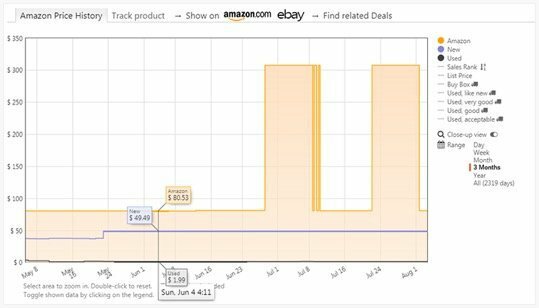 Price tracking tools give you the ability to see the history of any Amazon products price. You can even set alerts for when a product reaches a certain price. This makes finding the best time to buy a product reality. As you can see from the example below, this product was under $100 at one time and over $300 at one time… so you know that the current price is the best price it has even been. There are tons of great price tracking tools that you can find online like CamelCamelCamel, where you can track any product and even see the history of it. Many Prime members aren’t aware that you can actually share your Prime benefits with your spouse. With Amazon Household, you can connect your spouse to your account so they can enjoy the same benefits as you. Amazon Warehouse features used, open-box and closeout items that are discounted big. In the Amazon Warehouse, you can find really great deals on top brands…just returned or slightly used. There are certain products that are better to purchase in the Amazon Warehouse, like video games, back to school supplies and electronics. Inside Amazon’s warehouse is the bargain bin, where you can find items starting at 50% off and up. Make sure to check the item condition so that you get an item that is in good and working condition. Prime Pantry has fulfillment centers all over the USA so you can save a ton of money on your groceries by bulk buying with Amazon Prime Pantry. Just fill up your pantry with up to 45lbs of items and get the whole thing shipped for $5.99 flat rate! Extra Tip: Save even more with Amazon Pantry Coupons and get discounts on top grocery brands. If you are a college student (or even if you have an EDU email), you can receive the amazing benefits of Amazon Prime with an even bigger discount. You will receive 6 months of Amazon Prime for free which includes free 2-day shipping. Once you are ready to upgrade to a full prime membership, you can get it at 50% off the normal price. To sign up as an Amazon Student just go to the Prime Student page and join for a free 6-month trial of Prime. Do you have a ton of gift cards laying around with a tiny bit left on it, not worth even keeping? Now you can use Amazon’s gift card exchange where you can add any old gift cards you have lying around and redeem them for Amazon cash. So grab that collection of used gift cards and start getting every penny out of them! Amazon is the largest e-commerce store in the World. This means that there are thousands of coupons you can find to get discounts on almost any Amazon product. Some of these areas are for Prime members only but some can be used for non-prime members. If you want to take your savvy online shopping to the next level you should totally check out Ebates and Honey. Ebates lets you earn cash back with your online purchases while Honey will automatically check for the best coupons to use. The savings using these in tandem of each other is incredible. The hack is not 100% guaranteed to work but it does 99% of the time. First, order two (or more) items separately, within an hour window and select normal shipping for all of them except one. On one order buy the 1-day shipping option and Amazon will most likely combine all your orders together so the shipping cost is cheaper to them. If it works as planned, you will get your package the next day with all of your items in one package. This usually works better with smaller items than a bunch of larger items because they have to all fit in one box. Did you know that companies are giving away products on Amazon every day? Amazon giveaways help Amazon sellers get more reviews and exposure by offering their products for free as a giveaway. There are a few different types of Giveaways where you can win by random selection or every X amount of sign-ups win. You can go right to the Amazon giveaways page here. You may be asked to watch a short video or follow them on twitter, but you will be entered to win a free product. You can learn how Amazon Giveaways work by visiting the page. Lightning Deals are a really cool part of Amazon that a lot of people don’t know about it. With Lightning Deals, products have a limited number of items left or a set time of a promotion that ends. For example, A vacuum could be on sale for 80% for the next 3 hours or until it sells out. Lightning deals are time-sensitive so make your order fast before it runs out. It’s also important to note that if you commit to buy a lightning deal and then exit it, you will not be able to get the deal again… even if you didn’t buy it. Although Grubhub is the largest restaurant delivery service, Amazon has its own service that delivers food from restaurants around the US’s most popular cities. Sign up to Amazon restaurants and get $10 off your first order of $20 or more. Get huge discounts by subscribing to items on Amazon. The days of going to the store for toothpaste every week are over. Simply set up a recurring order with Subscribe and Save and get your items on a recurring basis for even cheaper than normal. When you are browsing Amazon, there are some great ways to find the best deals when you’re inside a category section. Simply add these parameters to the URL and click enter. It will only show products with that percentage off. Amazon Prime members can get really great discounts just by using no-rush shipping when buying select items on Amazon. All you have to do is select the FREE no-rush shipping instead of the normal free 2-day shipping. When you do this, you will get exclusive credits/discounts towards certain Amazon items. You can use your credits to buy almost anything like Amazon Music, Videos, Prime Pantry items and a ton more. 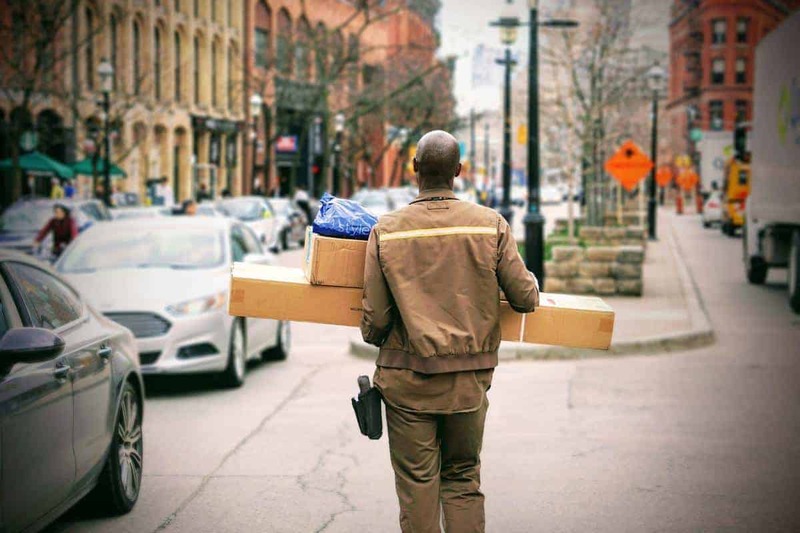 Have you ever received a Prime package later than 2 days? If this happens, you can call up Amazon and tell them that you didn’t get an item within the two days. They will credit your account $10 or you give a free month of Prime for the inconvenience. Tyler Horvath is an avid entrepreneur, coupon enthusiast, and money saver. You can check out his incredible blog over at Ninja Deals. Recently engaged or having a baby? You should definitely take advantage of Amazon’s wedding and baby registries. Amazon has everything you need for your the new chapter starting in your life. They also make it very easy for your guests to purchase items. A lot of people are used to shopping on Amazon with Prime anyway. They can have your gift in two days. Amazon also has a great return system for any duplicates or items you changed your mind on. Create your registry today! Join our private Facebook community to learn more awesome ways to save money when you shop! What Amazon Hacks did you not know before? What is your favorite thing to buy on Amazon? the ultimate part 🙂 I take care of such information much.